Commercial waste disposal and collection is a different animal from residential work. In some cases, the job is a matter of scale. Mini skips Perth are too small for the larger jobs, except for small business like mom-and-pop shops. Most commercial jobs require bigger bins, ones with wide mouths and have a large capacity. In some cases, the cheap skip bins Perth see a use for specialised containment. For example, if the business is one that cleans out asbestos, it will need containers with seals that can prevent the fibres from contaminating the atmosphere during transport. Fortunately, we have accreditation and licenses for handling and transporting asbestos fibres. We ask that such requirements be declared ahead of time, so we can legally advise you on what is safe to remove and transport. As with all our other clients, we process whatever recyclables are present. One of the matters that sometimes crops up in commercial skip bin Perth prices would be hazardous materials. 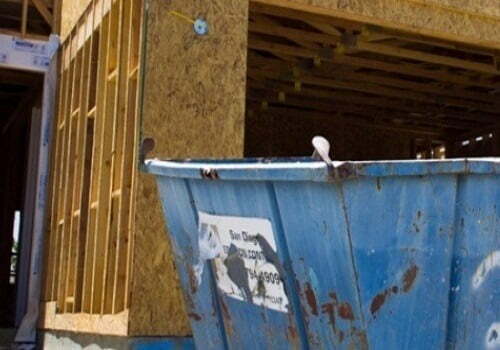 By Australian law, the placement of these elements in skip bins has limits as a safety precaution. We prefer to maintain personal contact with customers about our prices and services. We keep our communication lines open, so you can quickly reach the cheapest skip bins Perth when you need us. We will also call or inform you if there are any concerns regarding hazardous or recyclable materials, such as damage to the bins due to improper handling.